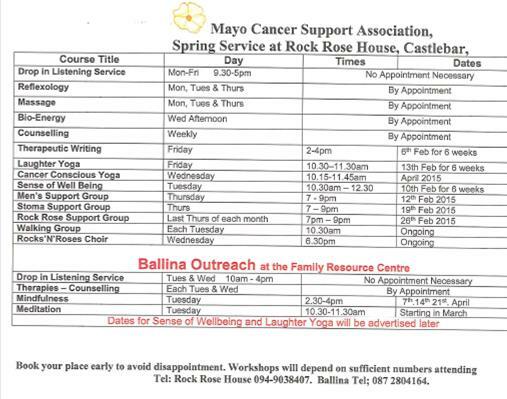 The Spring Workshops are starting shortly at Rock Rose House. Please call 094 9038407 to book a place. All services are free of charge to people with cancer and their families.